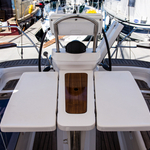 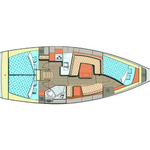 BISER is a name of boat Elan 384 Impression ,which has been manufactured in 2007. 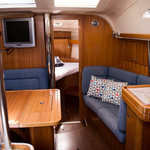 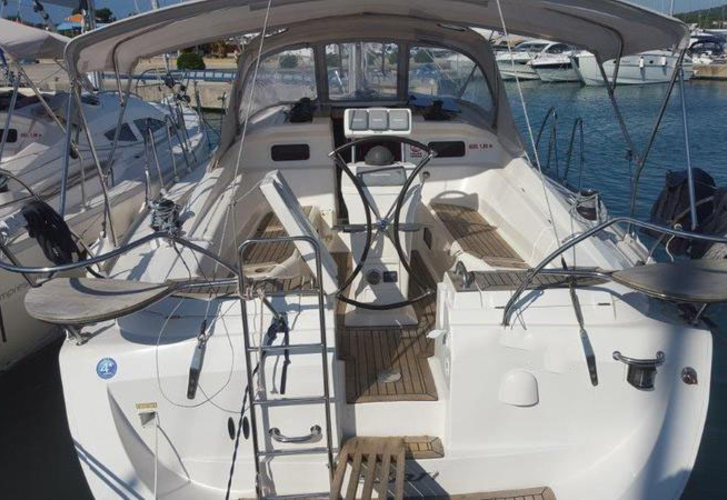 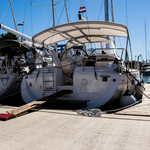 You can rent this yacht from harbor Sibenik in region close to Sibenik. 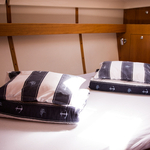 BISER is furnished with 8 sleeping places. 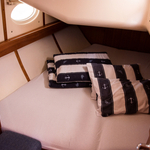 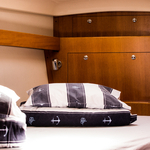 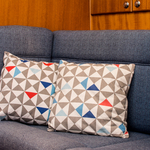 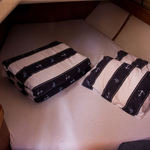 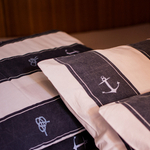 Beds on the sailing boat are arranged in 8 (6+2) scheme. 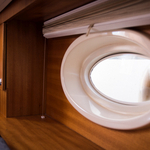 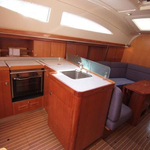 3 bedrooms are located inside the vessel BISER. 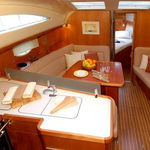 See other vessels by opening this link: Yacht charter Sibenik. 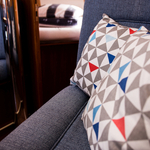 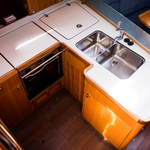 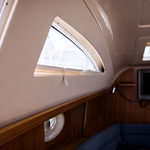 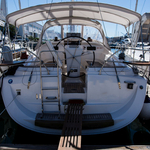 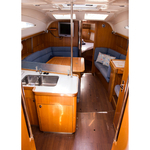 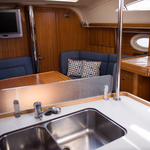 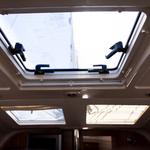 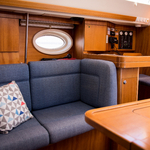 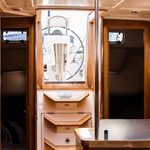 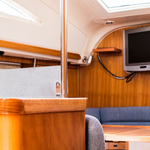 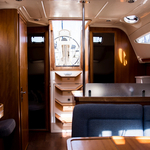 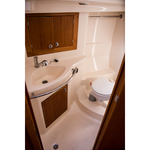 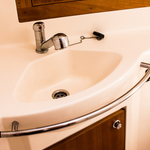 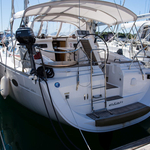 Passengers can feel comfortable on this sailboat , because there are 1 WC with showers for their disposal. 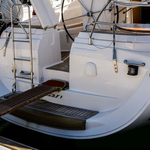 BISER is equipped with motor 40. 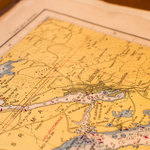 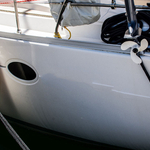 Sailboat's dimensions are: LOA - 11.55 meters , width - 3.91 m and 1.8 m of depth. 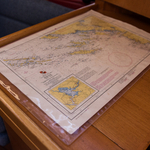 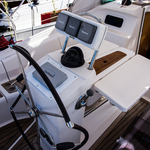 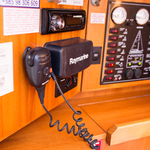 On the sailboat you can make use of following equipment: CD/MP3/USB player, TV, DVD/CD player, Heating, TV, Dvd, Radio / cd player, Gps plotter, Internet Wi-Fi, Plotter gps in cockpit, Autopilot, Freezer, Bimini top, Anchor electric windlass, Teak cockpit, Dinghy, Furling mainsail. . Security caution is at the level of 1500.00 EUR. 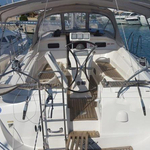 In our search engine you can quickly check avalailability of vessel BISER from Sibenik by navigating to this section: Yacht charter Croatia.